50 years ago this month, a perfectly healthy 17-year-old girl named Joni dove into the water and came back up paralyzed from the neck down. 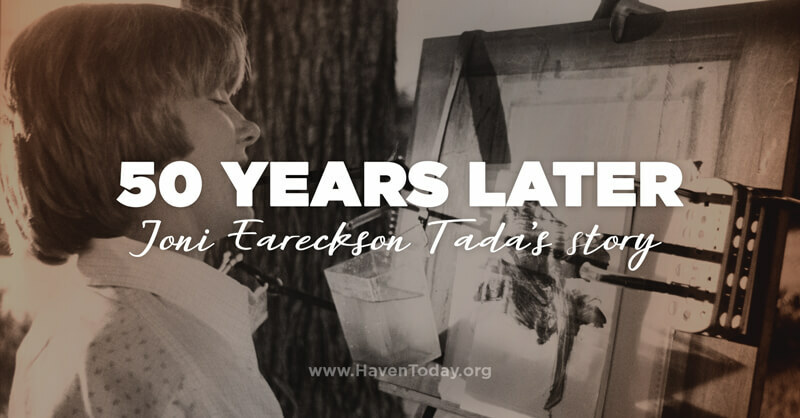 This tragic accident led to a lifetime of struggle for Joni Eareckson, but it also became something God has used to accomplish extraordinary things through her ministry to people affected by disability. On this week’s program series, Joni joins Charles Morris on a series called All Trials Great and Small. Hear about her journey as she reflects on the last 50 years of serving God from a wheelchair. 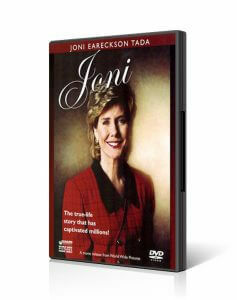 You can also see Joni’s story when you watch the classic movie starring Joni as herself. Maybe you’ve seen it long ago, or maybe it’s your first time getting acquainted this story of tragedy and hope. Either way, we are confident this biopic movie will encourage you to use the struggles and setbacks in your own life as a new way for Christ to be glorified. She was young…vital…just 17, when it happened. A diving accident snapped her neck and left her paralyzed. The months that followed were filled with great physical, emotional, and spiritual struggles for Joni Eareckson Tada. Joni re-creates for you on film her joys and sorrows, her fears, and victories, and above all, her faith in the wisdom and certain blessings of a loving heavenly Father.